Black’s chore is cutting fish: fresh caught pike. She dunks the cut slabs in the water and lays them next to dozens of others glistening on the cardboard. Thin red veins streak the translucent meat. Pausing, she lays down her uluq and closes her eyes. Black is 72 years old and has had running water for about a year, but she got sick before that. Pneumonia is more common in communities without running water. Lots of illnesses are, particularly respiratory, skin and gastrointestinal infections. “So when I do something I rest a lot,” Black explained. 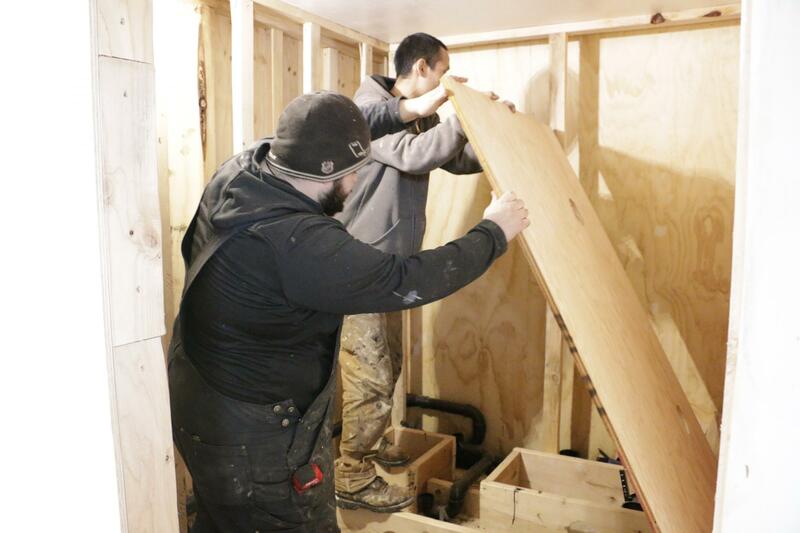 The community of Eek, population 474, is working with the Alaska Native Tribal Health Consortium to install their new system using a combination of federal and state money. When running water and sewer is introduced to a community, infection rates drop. 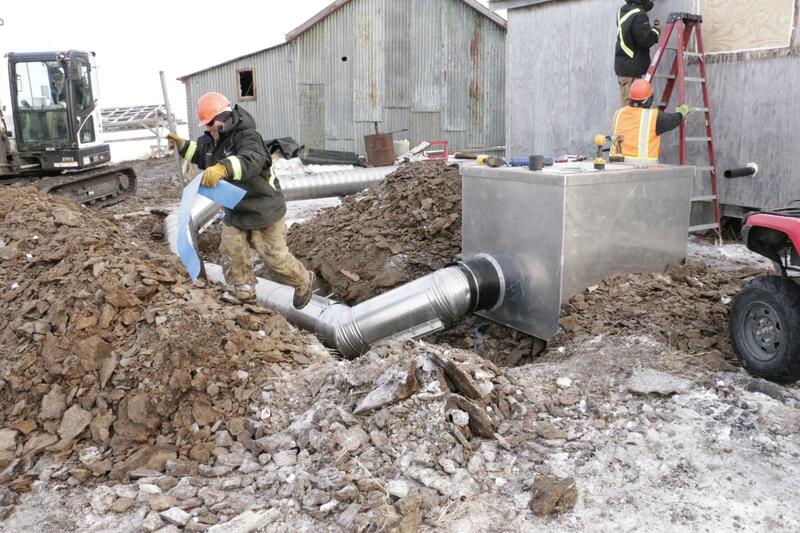 In one study of rural Alaskan communities, clinic visits for respiratory infections declined by 16 percent, skin infections by 20 percent and gastrointestinal infections by 38 percent. “Yeah, we use up a lot of water,” Seth Heakin said, taking off his gloves. Heakin is helping install the water system, and he’s seen the change firsthand in his five young children. Before pipes, Eek residents could get treated water from the community watering point, paying a quarter for every five gallons. Most homes also collected rain water in summer and river ice in winter. Before plumbing, she couldn’t keep the house as clean. Because she was the first in her family to get running water, her sons, mother, and grand-kids would come over to bathe and do laundry in the months before their homes were retrofitted. “We were running our washer a lot more this winter, sometimes from morning to evening,” Alexie remembered. “Right over there, where you see that couch, that used to be where the bathroom and the toilet used to be,” Alexie said, pointing to a corner near the front door. The bathroom consisted of a basin and a toilet. The toilet was a honey bucket: a five-gallon bucket with a seat and a trash bag. Having it near the door made taking it outside to dump easier. Now he has a bathroom in another part of the house. It’s complete with a sink, shower, bath, and flushing toilet. He no longer has to handle the waste and the house smells better. “So it’s a better, cleaner environment,” Alexie said, smiling.